Ear, nose and throat diseases are very common in the general population. Often a flu, which is a viral infection , will give the patient a cold and after a few days there might be a worsening of the condition due to a bacterial superinfection. Accumulations of secretions in the sinuses can cause sinusitis. In the middle ear it can cause first acute otitis media and later this can turn into chronic otitis and eustachianitis with a plugging up of the normal ventilation mechanism of the middle ear. Industrial noise exposure in the past (saw mills, noisy machine shops, blasting etc.) have caused permanent hearing loss (high frequency), but Workers’ Compensation or government legislated prevention rules have been very effective in the last few decades to prevent this type of hearing loss. In growing children there are polyps (adenoids) that can obstruct the nasal passages. Tonsils are supposed to fight infections. 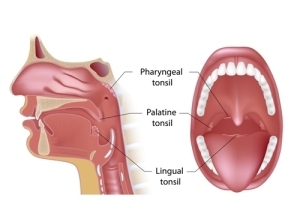 However, in some children after several infections and scar tissue formation the tonsils seems to catch every flu that goes around leading to recurrent tonsillitis. These children need to see the ear/nose/throat specialist (also known as “otolaryngologist”) with the view of perhaps having a tonsillectomy, which means that the tonsils have to be surgically removed. Smokers are steady clientele after about 20 to 30 years of exposure to the habit. Polypoid lesions and cancer of the voice box (laryngeal cancer) are only some of the conditions that are associated with exposure to the carcinogens of cigar or cigarette smoke. Cancer of the lips, tongue and oral cavity cancer, pharyngeal, esophageal and sinus cancer , as well as bronchogenic carcinoma are other common cancers in smokers.